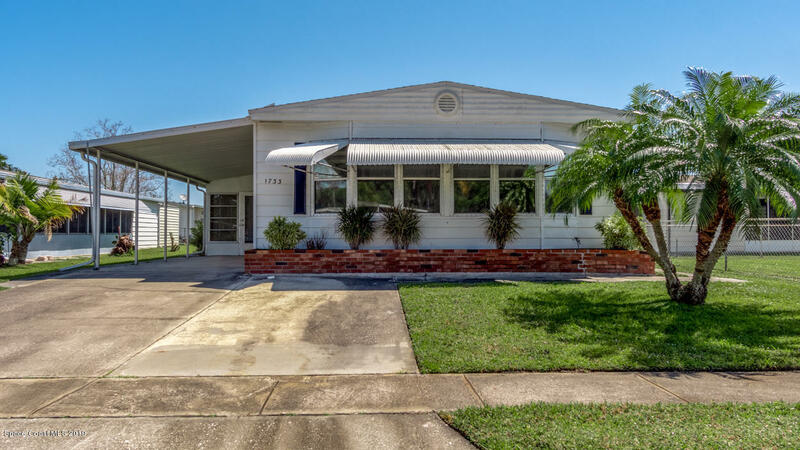 The pride of ownership shows in this home which is situated in a 55+ active adult community of Palm Bay Colony. The membership is transferrable to new owner, which includes, pool, shuffleboard, tennis court, pickle ball and scheduled activities. Only need to pay low monthly HOA fee. This beautiful home includes: Living Room with tinted bay windows. Abundance of storage and shelving, dining area, kitchen island with counter cooktop, family room with wet bar. Master bedroom has walk-in closet, vanity area, double sinks and walk in shower and storage, 2nd bedroom has a walk in closets along with a bathroom. Office area, large patio with windows and blinds, washer-dryer in room off of the patio. Shed out back, covered carport with additional parking.This gorgeous home wont last long!